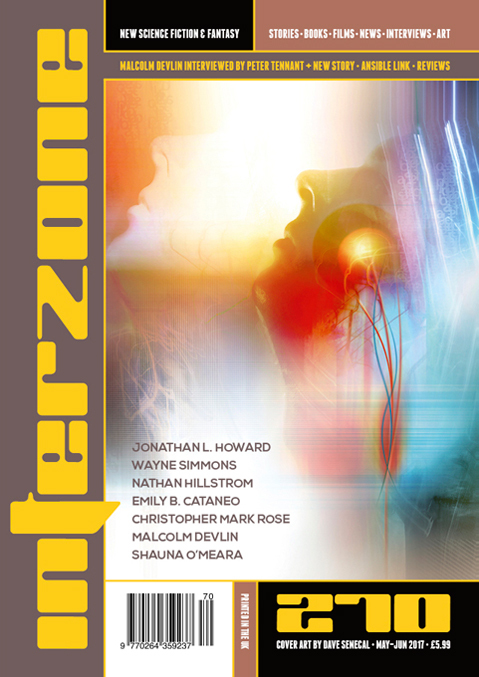 "The New Man," by Malcolm Devlin [bio] (edited by Andy Cox), appeared in Interzone issue 270, published on May 15, 2017 by TTA Press. Pro: The is the story of how the narrator tries to fit back into his old life and how he fails in that task. The story does a great job of gradually showing us how he really doesn’t measure up to the man he used to be. When we learn about the limitations of the basic body, it all clicks; he will never be the man he used to be. Con: The story leaves us wondering what the man is going to do now. It implies he might leave, but why? It’s odd that the company worried about being sued for his death and yet it doesn’t worry about being sued for having disabled him.